The installation of a spark arrester rain top is recommended for your chimney. Without a spark arrester rain top rainwater accumulates on the smoke shelf, mixes with creosote in the chimney and turns into a highly corrosive acid. It then attacks the mortar joints on the back wall of the fireplace. The rain water and creosote mixture will cause your damper to rust. Not only will a top keep the rain out, it can also keep out birds, squirrels, and other varmints, as well as leaves and debris. Any kind of blockage in the flue can choke a flue, causing smoke and dangerous carbon monoxide fumes to spill back into the room. A cap can also reduce the risk of a roof fire. These are only a partial list of the reasons why a chimney should have a spark arrester rain top. 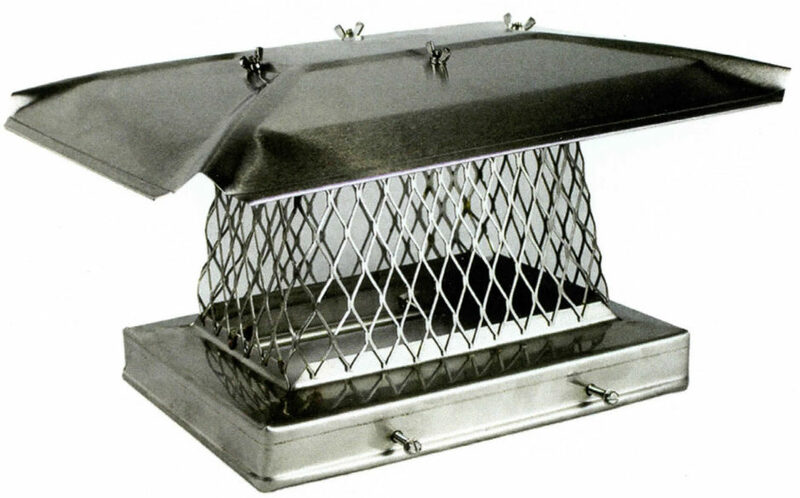 We suggest that a stainless steel spark arrester rain top because stainless steel will not rust or corrode. us for more information and a free price quote. We also offer FREE installation with purchase of your spark arrester rain top. The British Brush Chimney Sweep, Inc. Licensed, Bonded & Insured: Oregon CCB# 122166 The British Brush Chimney Sweep, Inc.